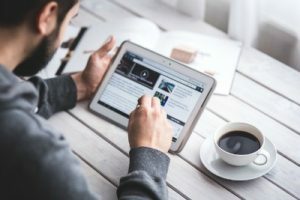 One of the biggest challenges that most businesses and contractors face when managing their website is creating the content. Getting a domain name, buying hosting, and setting up the site is not impossible, but when people sit down to actually fill the site with deep and meaningful content, all they hear are crickets. This is also the most vital part of getting your business online, the content creation. 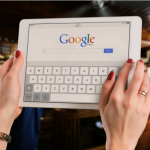 Having info on your site is what drives the search engines to send traffic, keeps visitors and potential customers looking around your website, and is the direct component of how you will rank against your competitors. All websites have a basic layout that visitors have come to expect and we should continue no matter how trendy we want to be. Most people expect to have a contact page, about page, and for there to be navigation buttons at the top or side of the website. You want a page to display a gallery of your work, some info about your services, and of course, a home page. Once that is built out, where do you go from here? This is where understanding who you are targeting and what geographical area you want to service is key. A glaring error that I see a lot of is stuffing to many location keywords on a single page. In essence, some web designers or out dated SEO professionals will have three, five, or more city names on a single page. 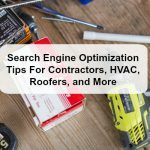 This practice can have costly consequences, namely it sends a red flag to Google and Bing that the page in question may not be the most relevant to return as a search result to a user. Let me explain this in simple terms. Take two similar websites, such as local Charleston Painters. A person goes to Google and types in the following: Painting Contractors in Charleston South Carolina. Website One has a dedicated landing page for the phrase and location “Charleston Painting Contractors”. This page is over 800 words, has fully optimized pictures, and does not mention other surrounding areas in Charleston. 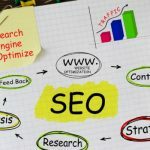 The page is built around the search term and the SEO Expert spent time making sure the phrase is used in sentences on the page. Website Two is also a local Painting Company in Charleston and has been in business much longer than website One. In fact, their office is less than a mile away and they use the same brand of paints. However, their website has the location Charleston, SC sprinkled all around the site along with the neighboring cities like Summerville, Hollywood, Mt. Pleasant, etc. Each page mentions several locations and none of the content directly highlights landmarks in Charleston. What do the search engines see when they index these two website? They see one website that offers exactly what a user is looking for; “Painting Contractor Charleston”. 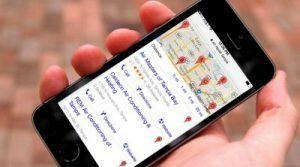 Knowing that Googles main objective is to return the most direct and geo-location accurate results, we can see why website One shows up all the time and out ranks their competition. Getting your website on to page one is not impossible and most of the challenge is removed when you understand what phrase you are trying to rank for. 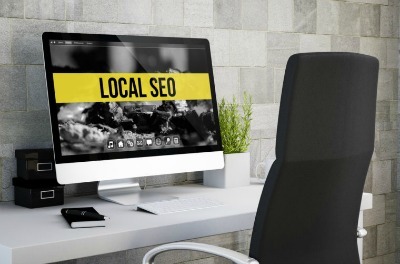 Here are three tips to optimize your pages for local content. 1.A good place to start with local content is to keep the location or phrase in the page title. If you are a Remodeling Contractor in Charleston, the you city landing page should have that in the tile. 2.Make sure your H1 tag also has the same location in it. The more focused the content, the better you will rank for that term. Once again, if you focus in Charleston Painting, that needs to be in the H1 tag. 3.Make sure you use the location in the content in a natural way. Do not make your paragraphs sound robotic or not how a person would actually speak. I am sure you have seen this on websites, the writer stuffed in the city and state into a paragraph and no way in the world would someone actually speak like that. These are two examples that can help you understand how to correctly insert location data, optimize pictures, and create content that matches what people are searching for. Remember this factor, most people are searching for a solution to a need or problem. Have content that answers that and your site will do very well in search results.